Ya avisabamos de que la nueva actualización del R3E estaba apunto de salir del horno, y ya está aquí. 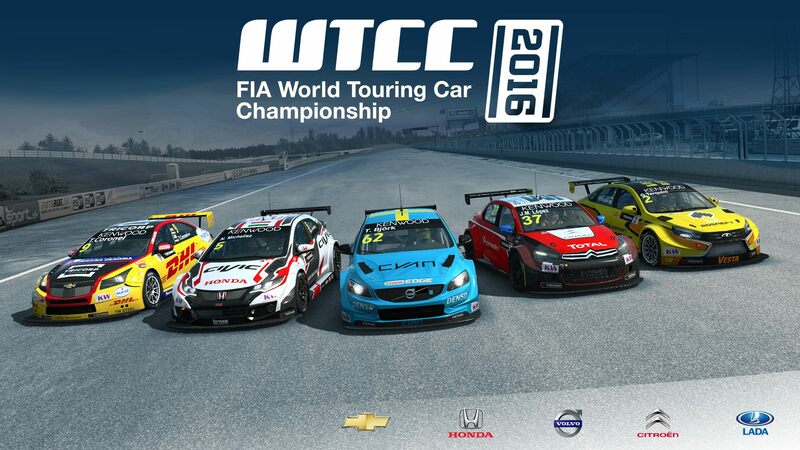 En ella podemos encontrar ya disponible el FIA WTCC 2016 Car Pack, que incluye el Volvo Polestar S60 TC1, Honda Civic, Lada Vesta, Chevrolet Cruze y el Citroen C-Elysee. Así mismo, la update incluye el tan reclamado sistema de banderas. Una verdadera locura que RaceRoom haya estado sin ellas hasta el día de hoy. Además de algunas mejoras en el sistema VR y ajustes en las IA. Fixed issue where “Pit timer” from previous event was showing when player was in a new session after completing an event with mandatory pitstop with a minimum pitstop duration. Changed automatic DNF logic to allow players to stand still with their engine off if they’re close to their pit box. So players can take breaks during long races without getting retired. Note: What’s displayed on the monitor is a cropped copy of the left eye render for the VR headset. The crop avoids including the eye’s hidden area mask and maintains the monitor window’s aspect ratio. The overlays (menus, etc.) are rendered flatly on top of the cropped VR eye render.